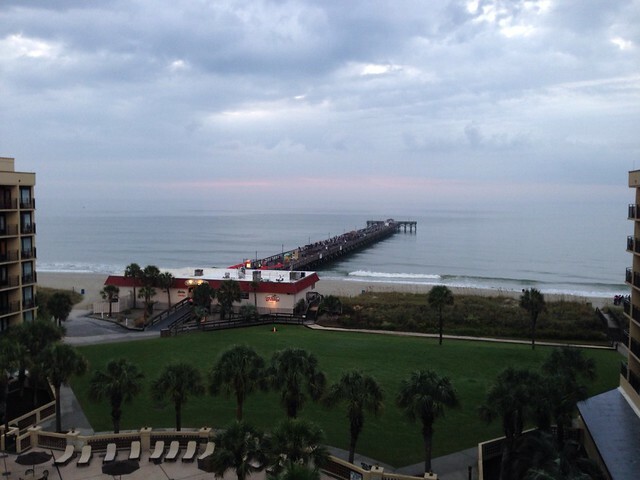 I just got back from a great weekend at the Cross Stitch Pals retreat in Myrtle Beach. I believe this was my forth time attending at it was so much fun! It was so good to see everyone again. It was cloudy and rainy, but it didn't matter - it was perfect stitching weather! With Thy Needle & Thread "August Word Play"
So glad you had a great time with the stitching gals at the beach. It looks lovely. Your August wordplay is darling. Those wordplays look like so much fun. Hugs dear friend and keep on stitching !! Looks like a great retreat! 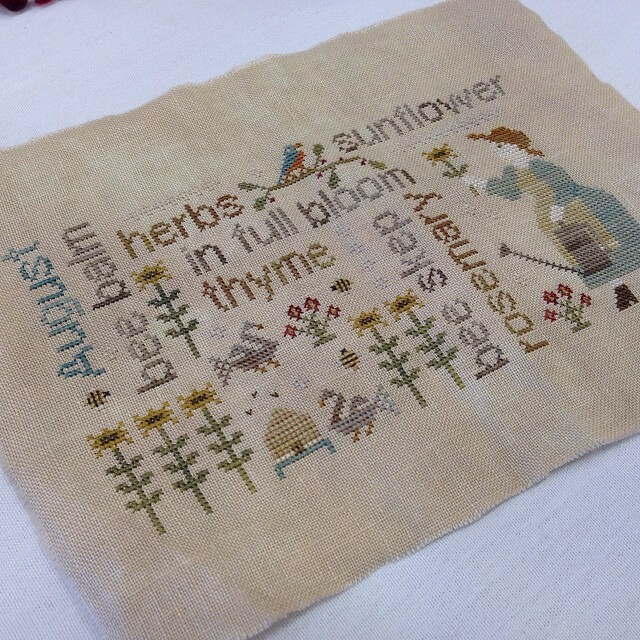 A lovely stitching job on Word Play. Glad you had a good time at the retreat! Congratulations on your job too! I like your stitching on all your pieces. 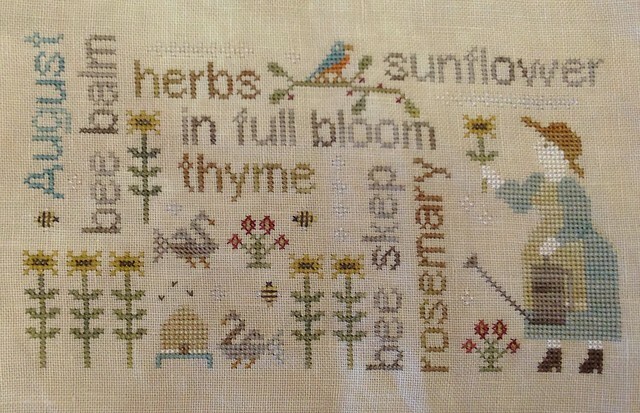 I so want to stitch the Crown Sampler -- need to get the chart! Sorry the socks didn't work out. I like the towels though! Great finish! Retreat sounds like it was fun. It sounds like the retreat was great fun! It was great fun, wasn't it? There was time for stitching, even with laughing and visiting! Lovely finish, too. You're so lucky to go to the retreat Nicole. And congrats on your recent model you stitched for a designer...I'm forgetting now where I saw it but I recognized your name mentioned in the blog post about it. I love your August Word Play. I've collected most of them now but wondering what to do about Sept as I don't like it too much....I'm tired of September designs always having school-stuff on them LOL.